for those of us who live north of the equator, we’re only 4 days from the darkest day of the year. But for many among us, it felt as though last Friday must surely have been that day. just now, is too dim to shine for anyone. in the creeping shadow of it. is let our own light shine. we can always bake cookies to share. however, if chocolate is your flavor, a recipe for chocolate shortbread follows. Cream the butter until light and fluffy. 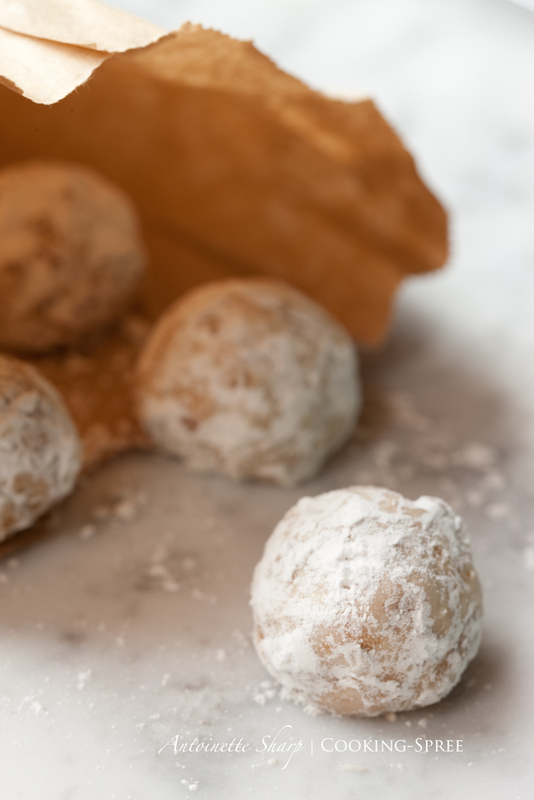 Drop the powdered sugar into a small bowl. 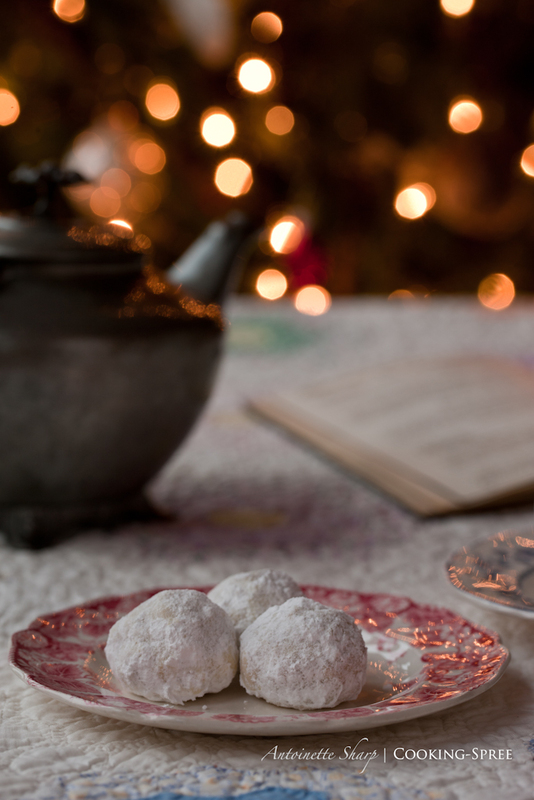 Mince very finely the zest of lemon and the lavender and add them to the powdered sugar. Add the lemon extract. Stir to mix; then add to the butter and cream together. 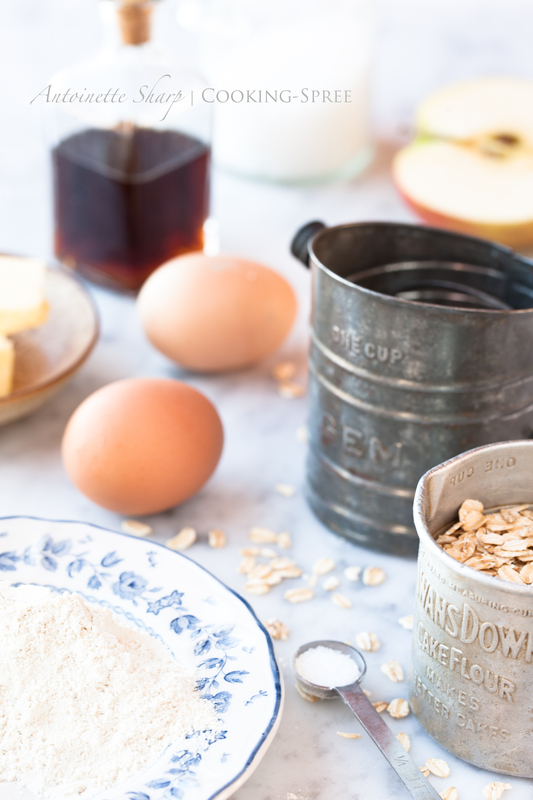 Work in the flour, scraping the bowl as you go. 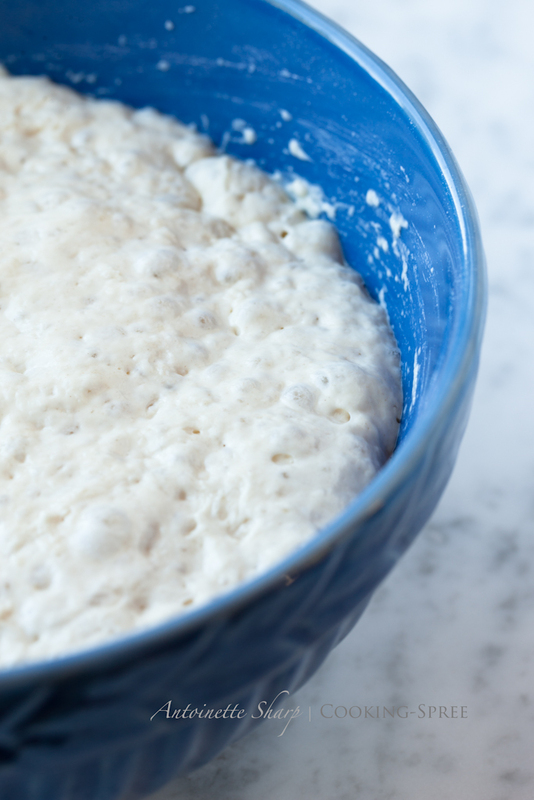 Once the dough has mostly come together, remove to an unfloured board and knead until nice and smooth. Either spray with non-stick vegetable spray or brush a thin layer of vegetable oil on the bottom and sides of your pan. Firmly press the dough into the pan. (I used a clay pan with Scottish thistle imprinted on it, but an 8-inch round cake pan or 9-inch pie tin will work just fine!) Prick the entire surface with a fork and bake at 325°F (165°C) for about 30 to 35 minutes, or until lightly browned. Set the timer and allow the shortbread to cool in the pan for 10 minutes. 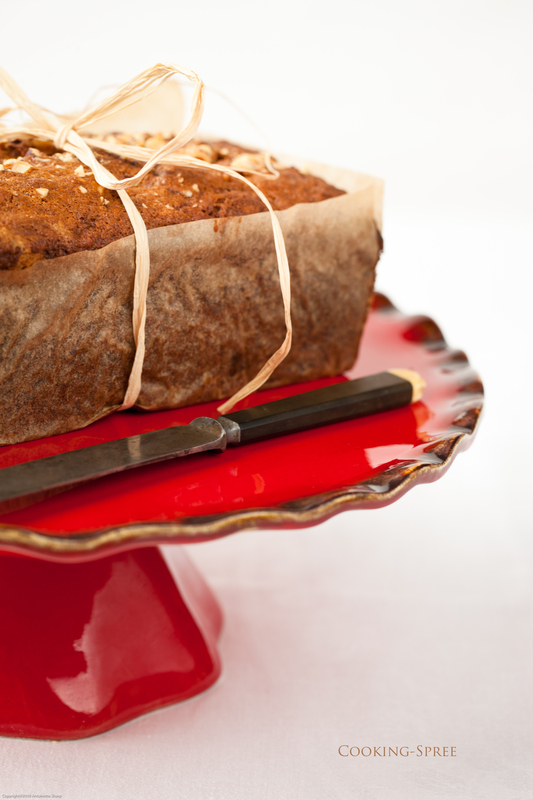 Loosen the edges with a knife and flip the pan over onto a wooden cutting board. (If it doesn’t release right away, tap one edge of the pan.) Cut the shortbread into 8 pieces while still warm. we all bring something to the table. what are our gifts? what of ourselves do we decide to grow and then share? what love language do we speak? do we learn to speak another’s? how well do we listen? my husband learned years ago that i love flowers. in the beginning he would order elaborate flower arrangements (full to overflowing) and have them delivered to the door. then, somewhere along the line, he learned i like simple, and all of one thing. and now, he brings me bundles wrapped in paper, wound with string, carried in his own man arms. and sometimes, after days away, blooms are there, welcoming me home again. if you’ve been with me awhile, you’ve heard of my fear of pie. (more truly, it was fear of a colossal-y failed crust.) i’ve done truly brave things in my life (i’ll even cop to a “reckless” act or two) but pie crust? why and how this fear (irrational to begin with) grew to be such a beast, you might guess. but for years i steered clear of the rolling pin. then, only fairly recently, i decided to stand toe to toe with that tiger, stare unflinching into his golden eyes. that tiger walks beside me now, purring like a kitten. 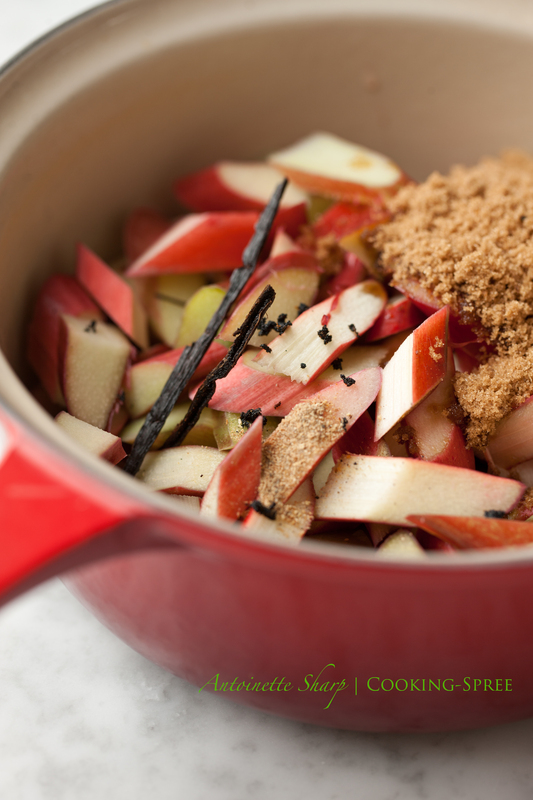 and finally (and this is reason enough to take on a tiger) i can make my love his apple pie. I’ve shared my recipe for a tart shell in an earlier post. (see French Lemon Tart if you want to be tempted!) I’ll include the crust recipe here too, at the end of the post. I’d like to be humble about this, but after years of being humble, to finally be proud seems like something worthy of sharing. So here’s the un-softened, un-humble truth. This crust is a.w.e.s.o.m.e. A word about the filling: I grew up eating and loving rhubarb. To me, it’s a thing of spring. 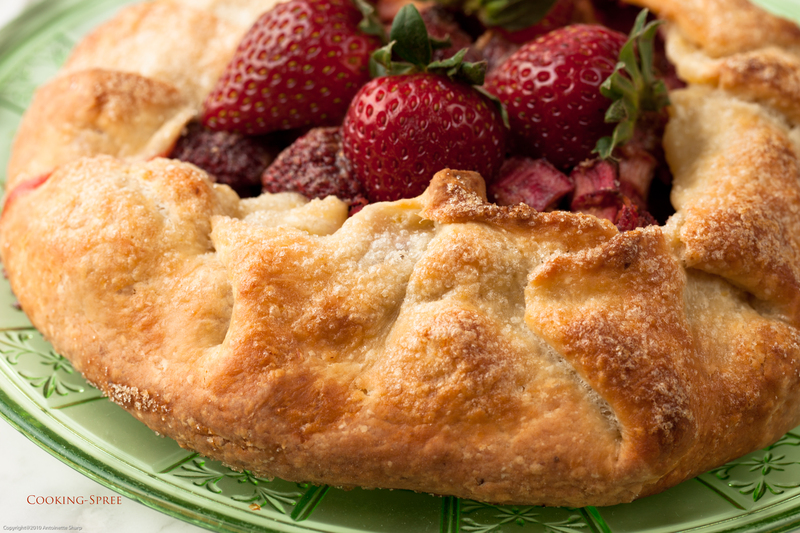 So as a base for this pie is a thick rhubarb “compote” of sorts – the liquid cooked out of it and nothing but the essence of the fruit remaining, lightly sweetened, imbued with the scented seeds from a vanilla pod and touched with a hint of cardamon. 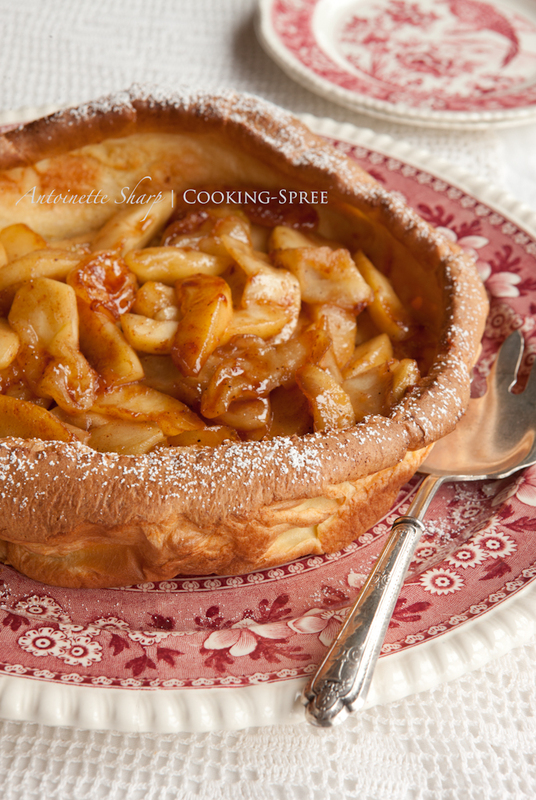 Apples, rolled in melted butter and brown sugar twirl across the top. Serve as is, warm from the oven, with or without ice-cream or crème fraîche. Or serve it chilled. 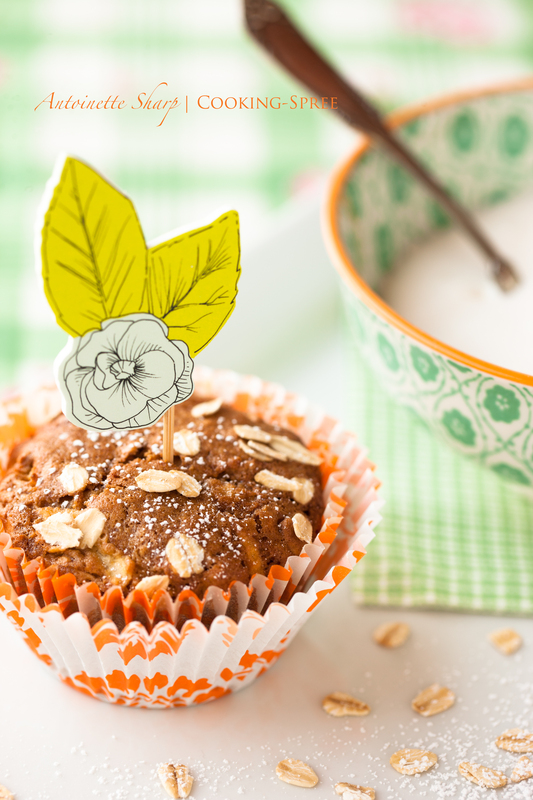 It’s not too sweet for brunch or tea. Wash the rhubarb stalks. Split in half lengthwise, then cut into pieces about 1/2-inch or smaller. Put in a medium-size heavy pot. Split the piece of vanilla bean in half lengthwise and scrape out the seeds, adding both the pod and seeds to the pot. 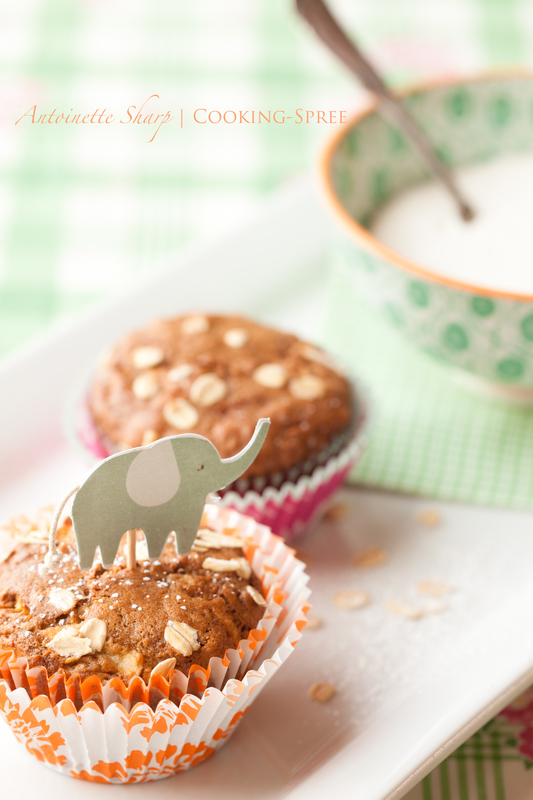 Drop in the brown sugar and cardamom. Oh, you’ve not heard of it? 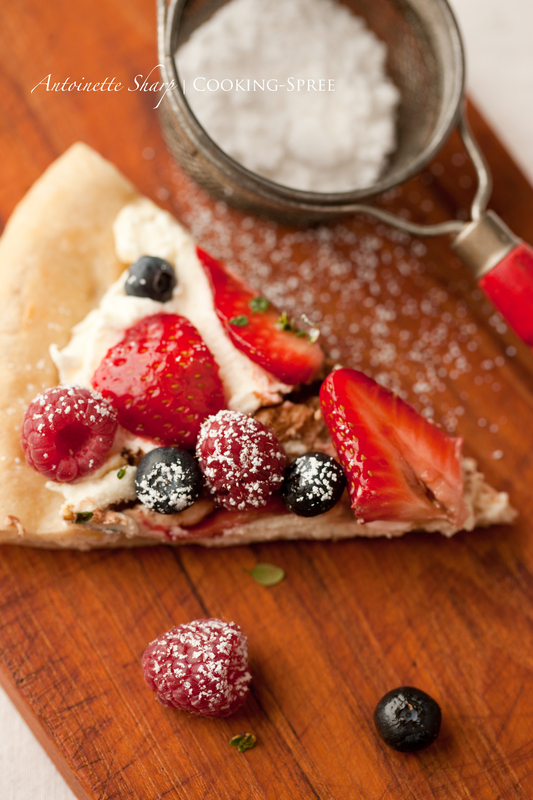 Spreezza’s that immensely popular little dessert pizza, covered with marscarpone cheese, topped with juicy fresh fruits, drizzled with some delectable sauce or other, some even scattered with herbs. Oh, you’ve not heard of them? I guess I must have made it up. 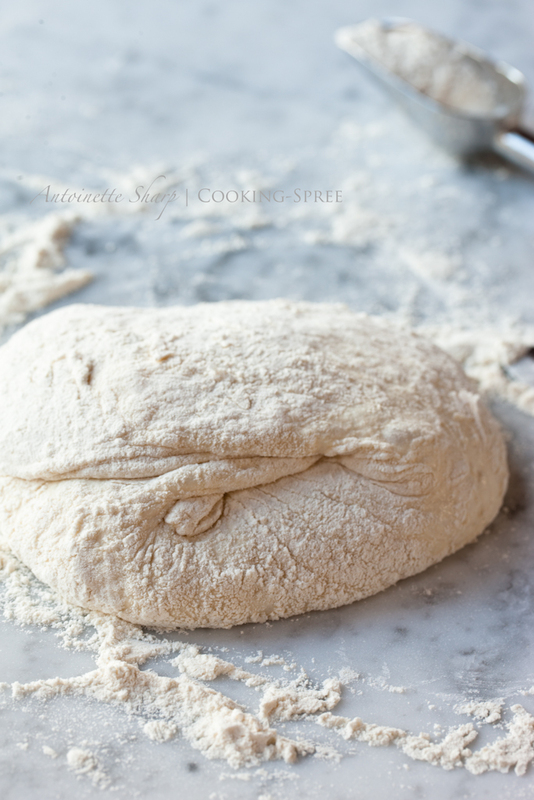 It begins with a good pizza dough…. 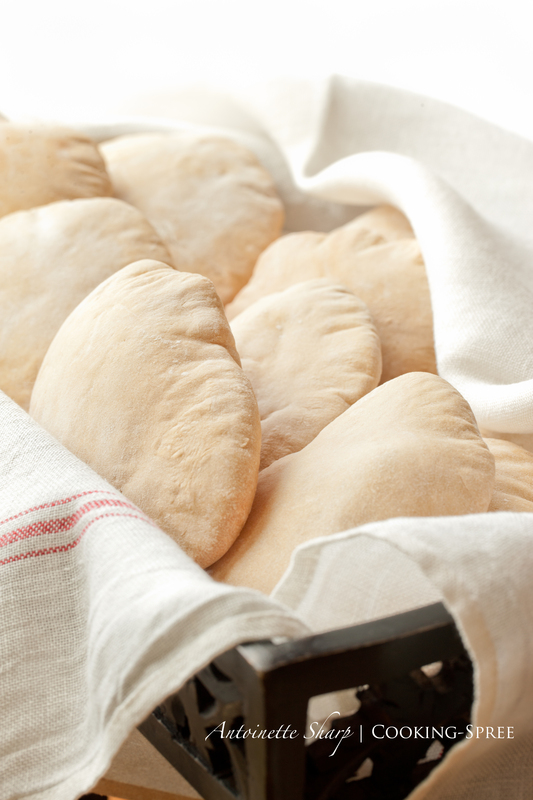 This No-Knead Pizza Dough is bubbly, chewy, crispy and better than you’ll find at most pizza parlors. 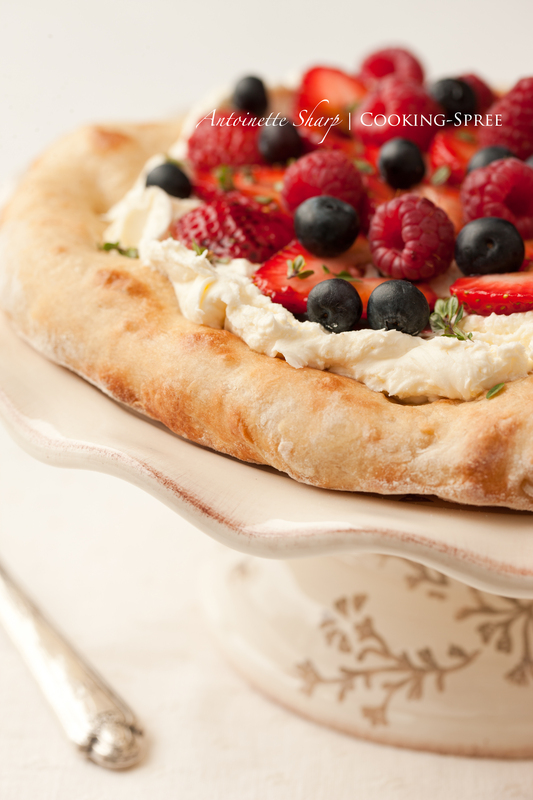 It can be used for ALL manner of pizzas – nothing at all about it restricts it to the dessert realm – in fact I’m the one who’s taken it there. It’s a take on the now-famous No-Knead Bread of Jim Lahey (owner of Sullivan St. Bakery in NYC) who introduced it a number of years back to rave reviews. 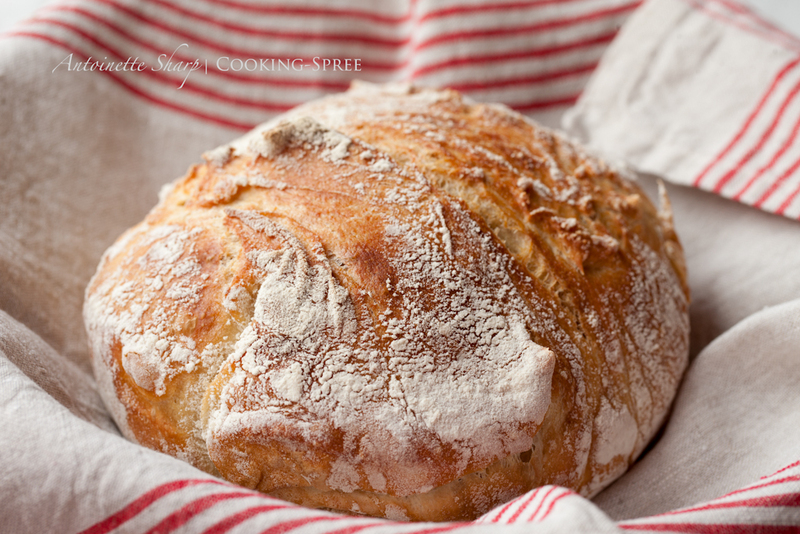 I posted the bread late last year but if you missed the post and would like to take a look, you can check it out here. 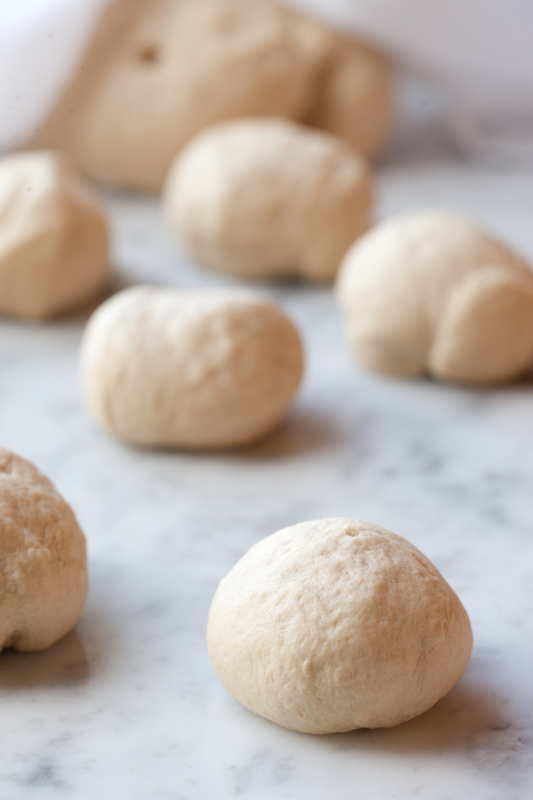 This pizza dough, like the bread that inspired it, derives its wonderful complex flavor from its overnight fermentation. So the only thing you have to consider moving forward is to start it the day before you plan to enjoy it. Now if you’ve got a hankering for a spreezza and you don’t want to wait til tomorrow, you can always begin with a store-bought dough (Trader Joe’s has a very good one), skip all this that I’m about to tell you about the dough, and move quickly to the spreezza recipe further down. 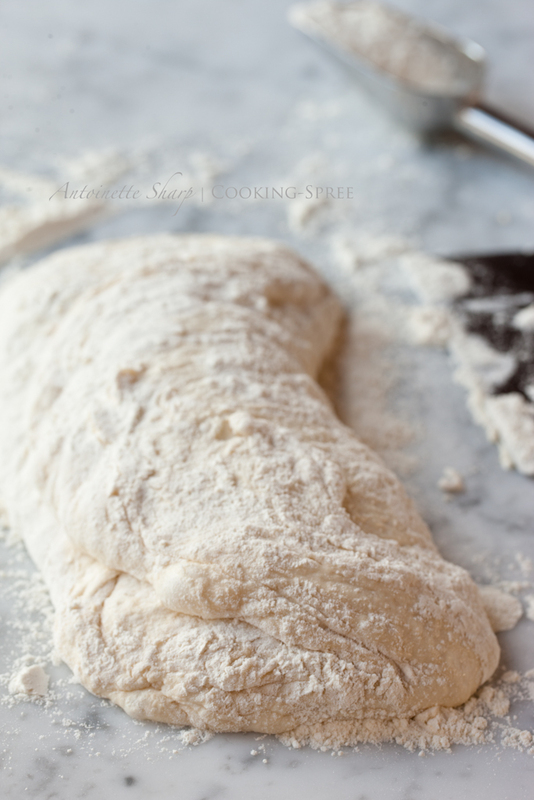 But you might want to return to this dough another time, because it really is wonderful. Whisk flour, salt and yeast in a medium bowl. 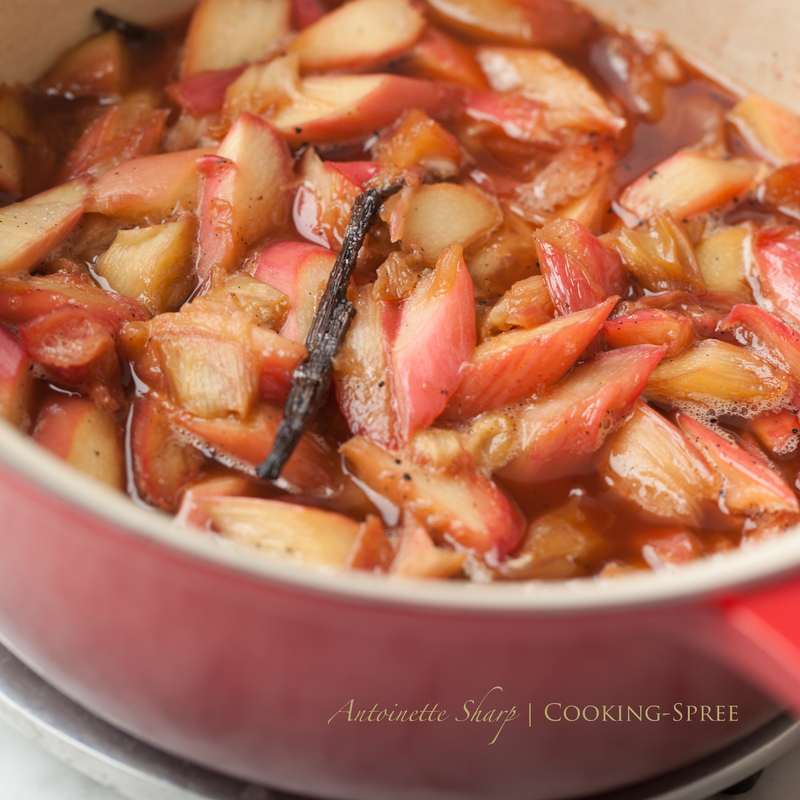 While stirring with a wooden spoon, gradually add 3 cups water (1½ cups if halving the recipe!). Stir until well incorporated. 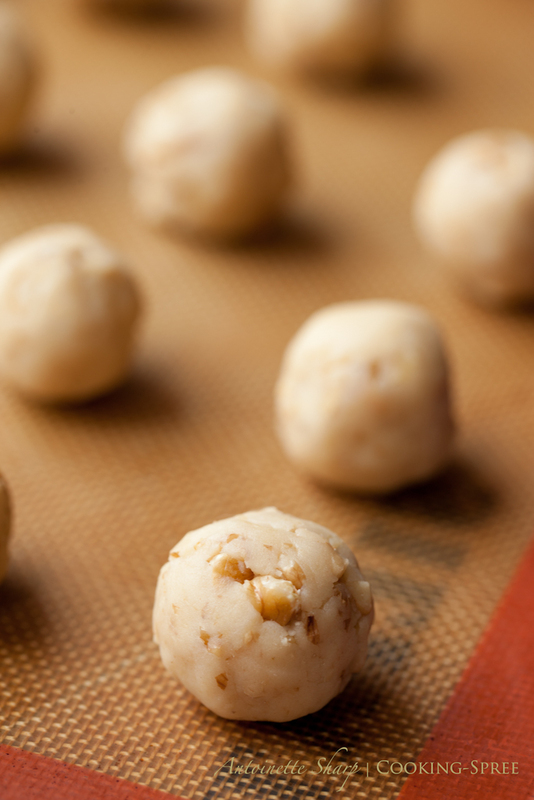 Mix dough gently with your hands to bring together and form into a rough ball. Transfer to a large clean bowl. 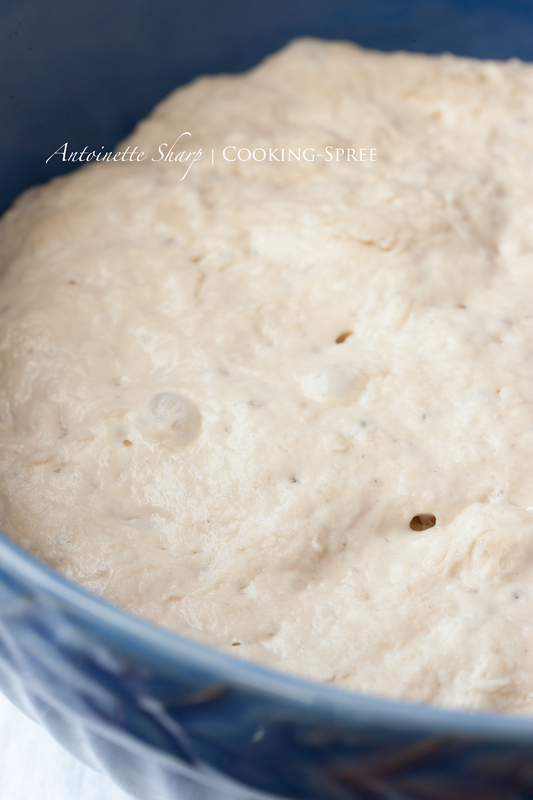 Cover with plastic and allow the dough to rise at room temperature in a draft-free place until the surface is covered with tiny bubbles and dough has more than doubled in size. About 18 hours time, though time will vary depending on the temperature of the room. Transfer dough to a floured work surface. Gently shape into a rough rectangle. 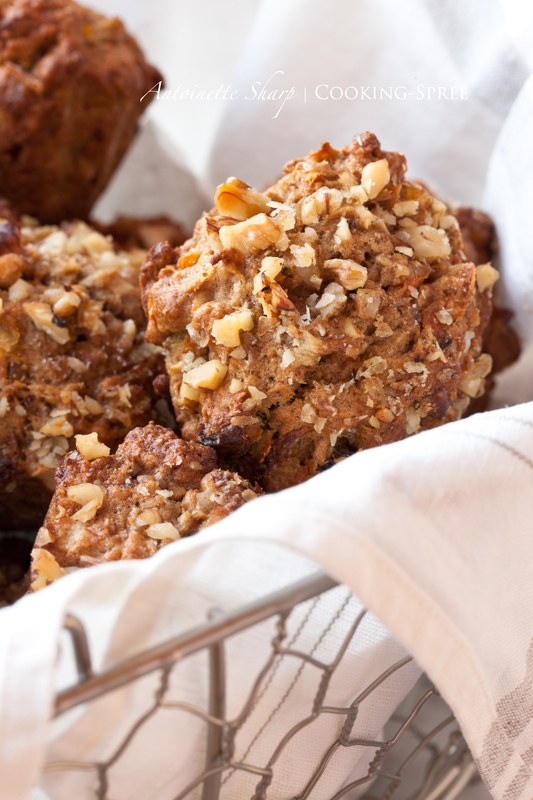 Divide into 6 equal portions (or 3 if halving the recipe.) Working with 1 portion at a time, gather 4 corners to the center to create 4 folds. Turn seam-side down and mold gently into a ball. 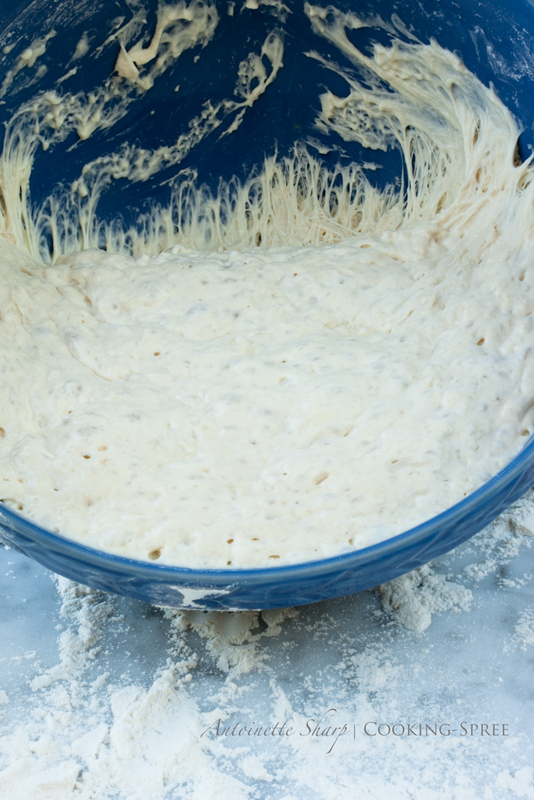 Dust the dough with flour; set aside on the work surface or floured baking sheet, and repeat with the remaining portions. Let the dough rest, covered with plastic wrap or a damp kitchen towel, until soft and pliable, about 1 hour. 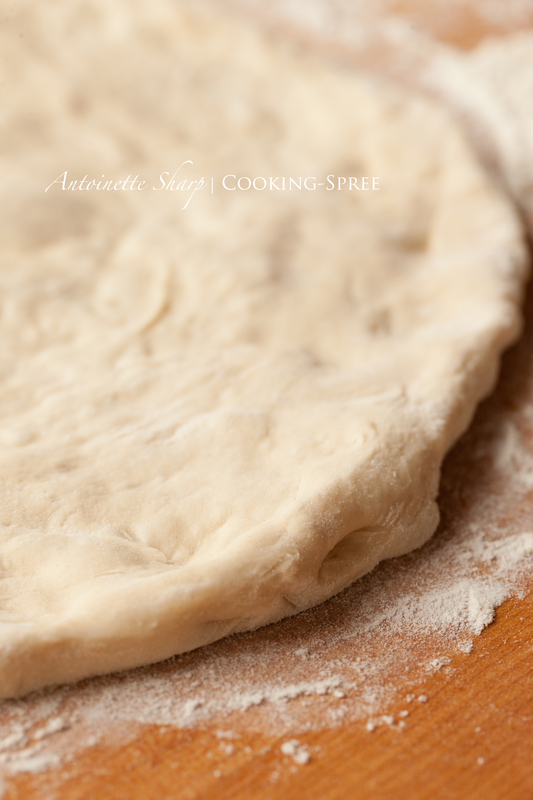 If using a pizza stone – Sprinkle a pizza peel or rimless (or inverted rimmed) baking sheet lightly with flour. Place dough disk on the peel or prepared baking sheet, and, using back-and-forth movements, slide pizza from peel onto the hot pizza stone. Bake the pizza, rotating halfway through, until the bottom crust is crisp and the top is blistered, about 5 – 7 minutes total. 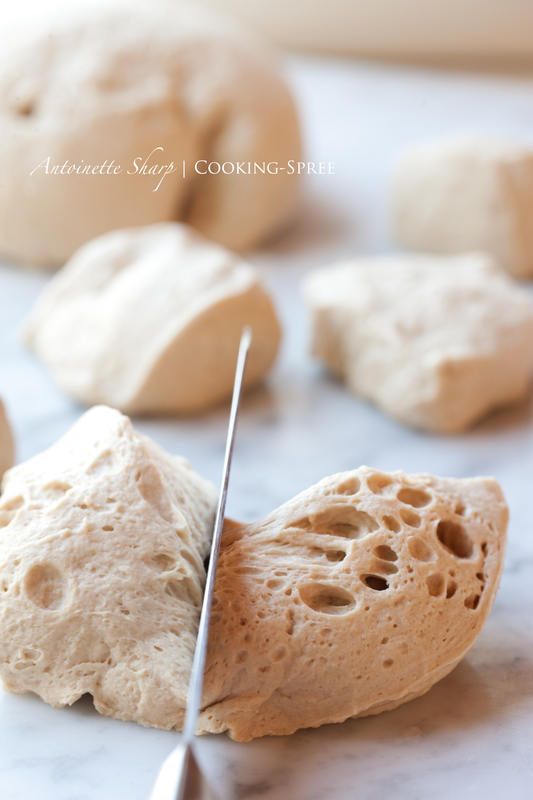 If using this pizza dough for a Spreezza, brush with melted butter when you rotate the pizza. Now, here is where this whole thing turns so fun! I’ll give guidelines for 2 versions here. I’ll share others as seasonal fruits appear. This isn’t science. This isn’t hard-and-fast measurements. This is Playing with Food! 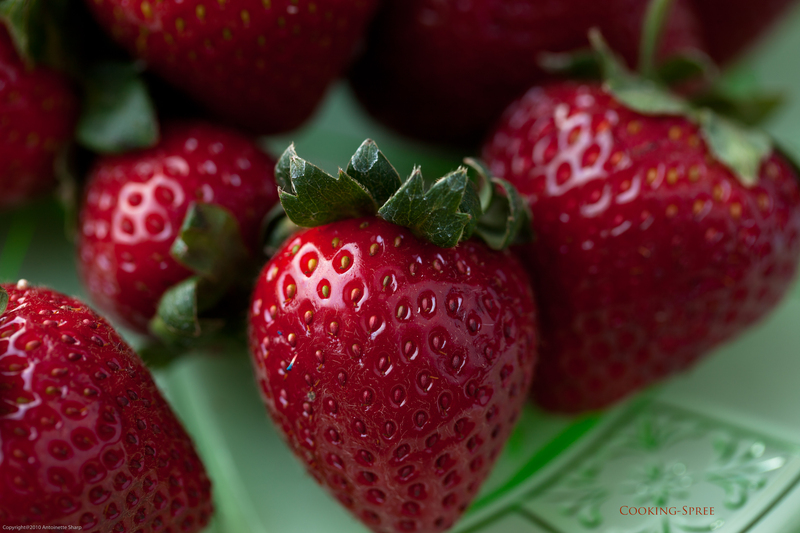 I had a bunch of fresh strawberries sitting on an old plate in a north window this morning as the sun came up. Dawnberries, I thought. And of course I had to bring my camera to where they sat. I can rarely leave anything this beautiful alone. The joy for me in cooking starts here, with beautiful fruit and vegetable shapes and colors. How shadows accentuate their plumpness. How water makes their washed surfaces glisten. How creases and dimples and stems and seeds tell the story of how they grew. 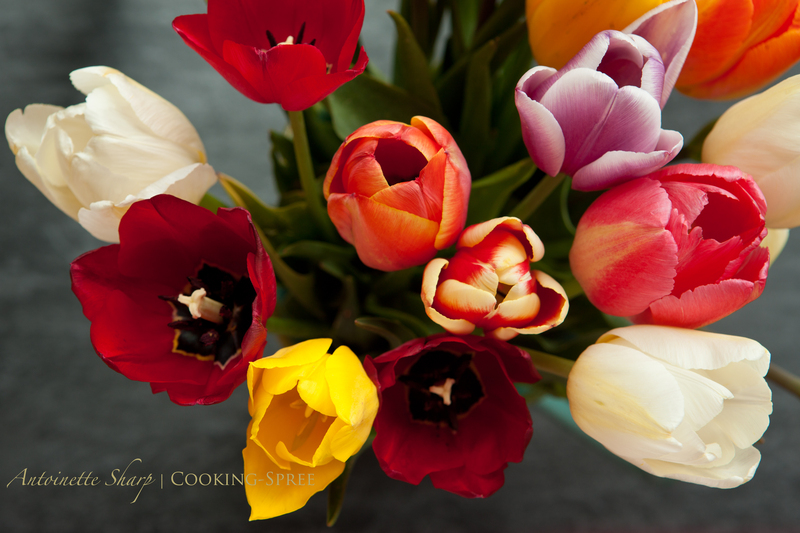 What beauty crosses our paths in the ordinary, everyday act of putting a meal on the table! 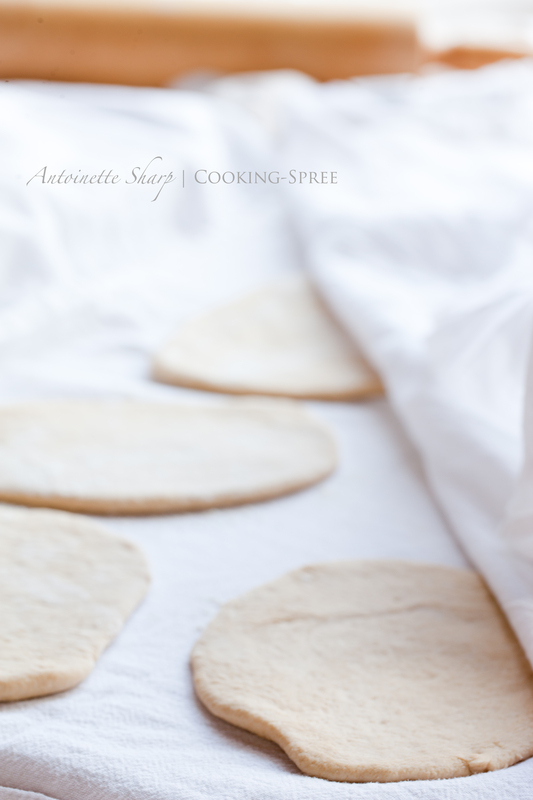 Storage of galette dough: If you decide to only make one galette at a time, the remaining dough can stay in the refrigerator for a couple days; or, with parchment paper between them and wrapped air-tight, they can stay in the freezer for up to a month.